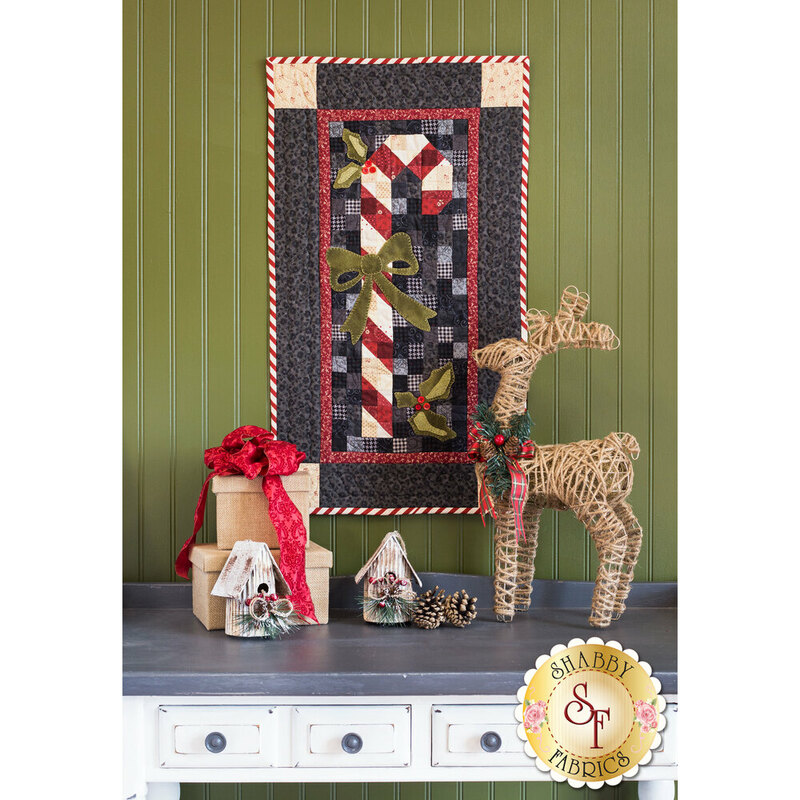 Brighten your holidays with a timeless wall hanging! 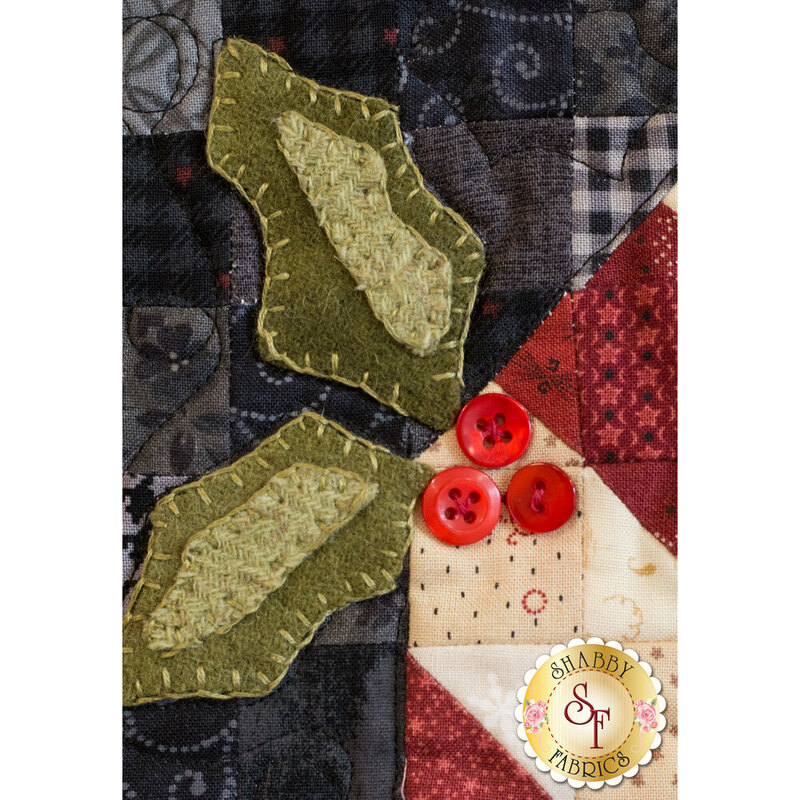 From Buttermilk Basin's Inch by Inch Collection comes this darling 17" x 26" quilt. 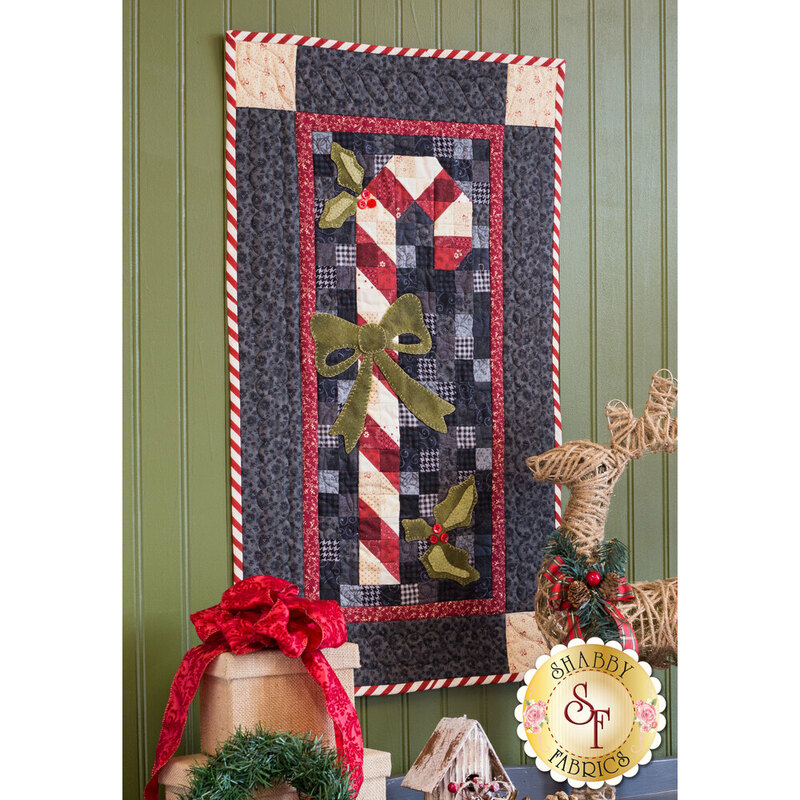 It features a patchwork candy cane with little accents of holly leaves and a bow. 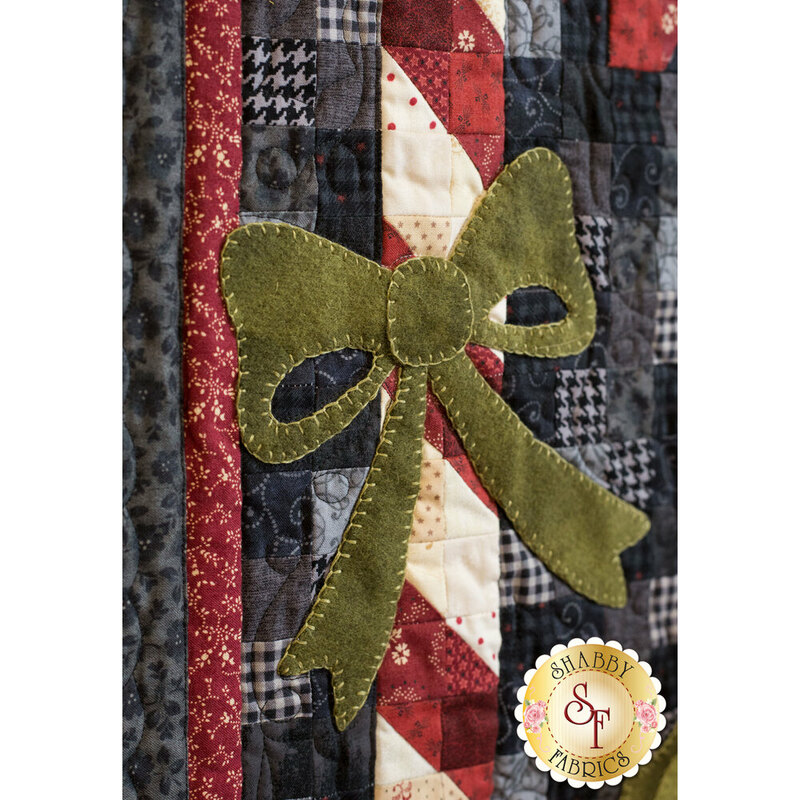 Kit includes pattern, all fabrics, backing, and binding. PLEASE NOTE! The holly leaves and bow on this wall hanging are 100% Wool. Add the Olfa 45 mm Rotary Cutter below to help with your precision cutting!